Félix Ardanaz began his musical studies in Spain with Elvira Guarás and Begoña Axpe. Further studies at the Higher School of Music of the Basque Country consisted of lessons with Gustavo Díaz Jerez (piano), Enrique García-Asensio, and Manel Valdivieso (conducting). He took specialized courses in contemporary piano music with Daniel del Pino and harpsichord with Loreto Fernández Imaz. He has attended many masterclasses with distinguished pianists and pedagogues: Brigitte Engerer, Jean-FraçoisHeisser, Michel Béroff, Josep Colom, Guillermo González, Solomon Mikowsky, Michel Dalberto, Prisca Benoît, Denis Pascal, Cristopher Elton, Norma Fischer, Marina Pintos, and MaciejPikuslki. One of the greatest highlights of Ardanaz’s career was the privilege to study with Alicia de Larrocha (considered by many to have been the greatest Spanish pianist), making Mr. Ardanaz one of her last pupils. Having garnered international prizes and performed to great acclaim on many of the world’s most important stages (Carnegie Hall, Wigmore Hall, Palau de la Música, Salle Pleyel, Salle Cortot, Unesco, Euskalduna, Kursaal, Caixa Forum, Auditorium Príncipe Felipe, etc. 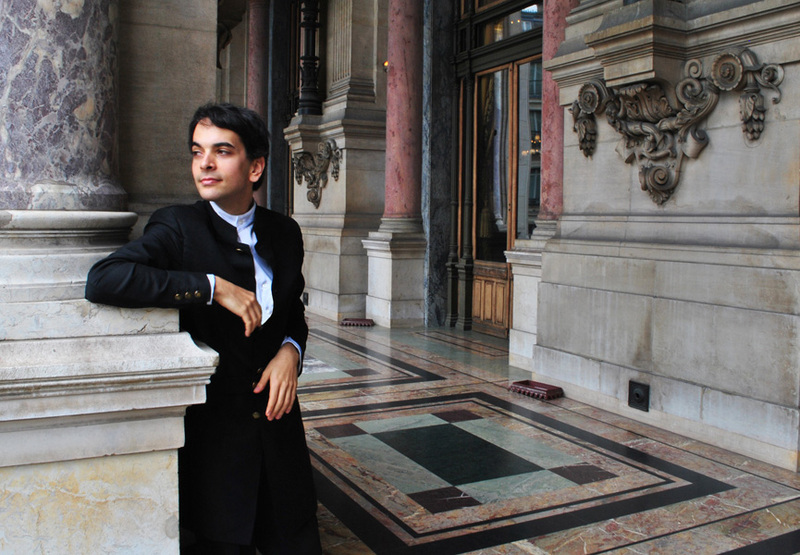 ), Spanish pianist and conductor Félix Ardanaz (25) has become one of the most sought-after musicians in his home country and abroad. 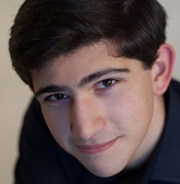 In May 2014, he obtained the first prize at the “Brahdshaw and Buono Piano Competition” in New York and consequently offered a solo recital in the Carnegie Hall. 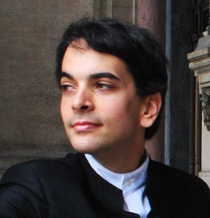 In July 2013, at the Great International Piano Competition in France, Ardanaz was awarded (by unanimous vote) the First Prize as well as the Audience Prize. Previously, he won top prizes at the following international competitions: Paris-Ile de France (First Prize, by unanimous decision, in 2011 and 2012), Barcelona (Eugènia Verdet), the Academy Awards in Rome, and Val Tidone. Ardanaz was also presented with the Critics Award in 2012 for his piano recital at the Palau de la Musica Concert Hall in Barcelona. For many years, Ardanaz has pursued a dual career as a concert pianist and as an orchestral conductor. In addition to numerous solo piano recitals across Europe, he has collaborated with a number of national orchestras in Spain, including the Basque National Orchestra, Bilbao, Asturias, Extremadura, and La Rioja orchestras. In November of 2007, he appeared as the soloist, under the baton of José Luis Estellés, in the world premiere (and subsequent recording for the Musikene label) of Charles Bordes’s “Rhapsodie basque pour piano et orchestra,” a new work inspired by popular Basque folk melodies. These and other performances have been broadcast on Radio France, RNE (Spanish National Radio), and Catalunya Clásica (the Catalan Radio). In 2009, Ardanaz recorded his first solo CD, “Hymn to Light”, with the label Verso, one of Spain’s most important recording companies in the field of classical music. This project included works by Scarlatti, Beethoven, Brahms, Chopin, Liszt, Ravel and Albéniz. Two new albums were recently released through the label “Orpheus”: an all-Liszt CD, which included the titanic Sonata in B minor, Mazeppa and Mephisto Waltz; and another CD dedicated to the French Harpsichord School, with pieces by Couperin, Rameau, Forqueray, De la Guerre and Marchand. Upcoming engagements include the performance as soloist in the Piano Concerto nº1 by Tchaikovsky with the Basque National Orchestra as well as an appearance at the Wigmore Hall in London.